AssataSAYS.com » Blog Archive » It’s Sale Time! I’m sure, by now, you all are familiar with Vintage Shaun. 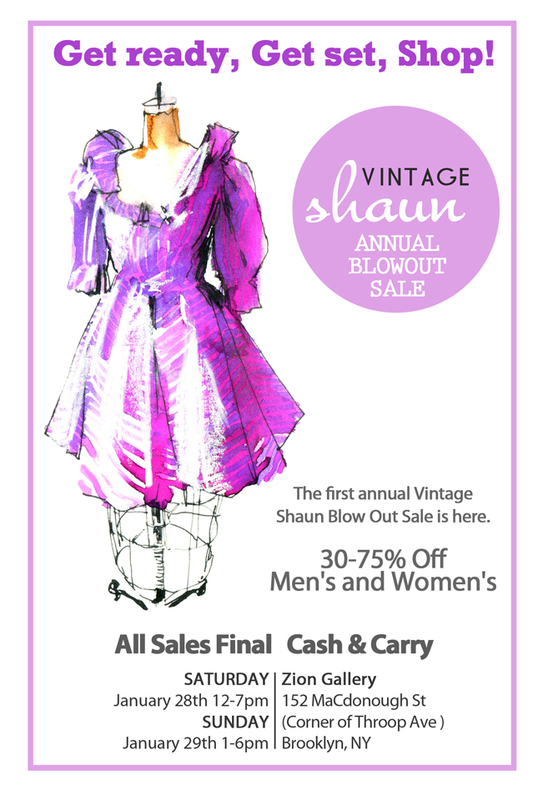 Every season, she has a sale at Nu Hotel in Downtown Brooklyn but this weekend will be her annual BLOWOUT sale! So, you can spend some cash now picking up key vintage pieces to mix in with all of the designer pieces you’ll get at the BARNEY’S WAREHOUSE SALE NEXT MONTH! The Barney’s Semi-Annual Warehouse Sale is set to start (ON MY BEST FRIENDS BIRTHDAY!!) Thursday, February 16, 2012 and will end on Sunday, February 26, 2012. Racked noted that the sale is noticibally shorter than it was last summer and is also shorter than it has been in recent years. That made me think back to the rumor of Barney’s CEO eventually fazing the sale out. Hmmmm… You guys better head over while the getting is still good available. This entry was posted on Wednesday, January 25th, 2012 at 12:50 pm	and is filed under FASHION, SALES AND PROMOTIONS. You can follow any responses to this entry through the RSS 2.0 feed. Both comments and pings are currently closed.